Contrary to popular belief I DO actually have showers, and not just constant Lush baths, just so you know. Like baths, they’re one of those things that you just look forward to at the end of the day, and totally the highlight of any day when you’ve done nothing but lounge around in your pjs all day (best type of day in my opinion). It’s just the concoction of lots of shower luxuries that I just enjoy the most. We all have our favourite lineup for the shower, but I do like to mix it up sometimes and try something new. Despite receiving enough shower gel this Christmas to last me for the whole year, I can’t resist adding to it when I spot something I love on offer, or something new and exciting. Original Source was probably one of the first ‘grown up’ brands I remember reaching for when I was younger. Despite the influx of new shower products on the market and my growing obsession for Lush, they’ll always be a place in my heart for the classic Lavender and Lime original source shower gel. They just smell so good, and they’re one of the only brands that actually help to get rid of that cloying chlorine smell after training. There really is nothing worse than coming to work and still smelling like a 25m swimming pool. I kid you not. 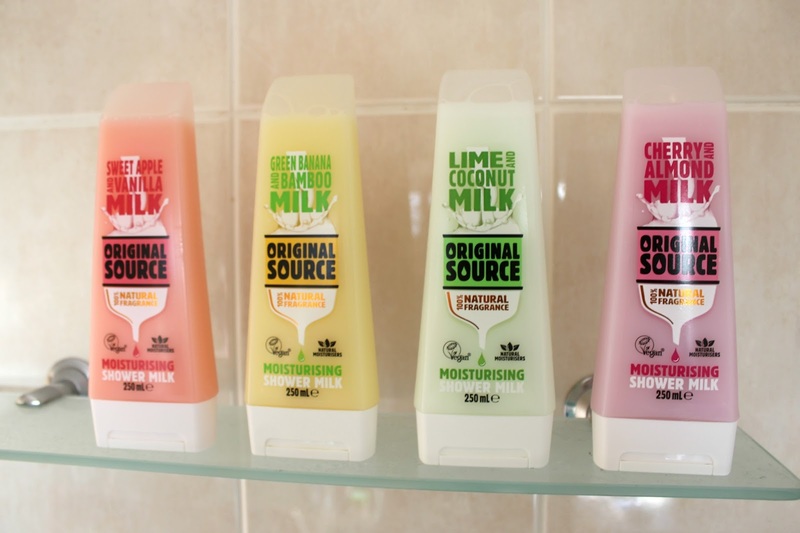 Determined to #ShakeUpYourShower in 2017, Original Source have created their new and ultra divine Moisturising Shower Milks* that are Vegan, are paired with delicious scents and they’re so much more moisturising than your typical, everyday shower gel. Firstly, they have a flavour that smells just like Bakewell Tart, the DREAM. Like, how is this possible? For this reason alone the Cherry & Almond Milk is undoubtedly my favourite, closely followed by Sweet Apple & Vanilla. With 4 flavours to choose from, this is definitely going to be the hardest shower decision I’m faced with every day. 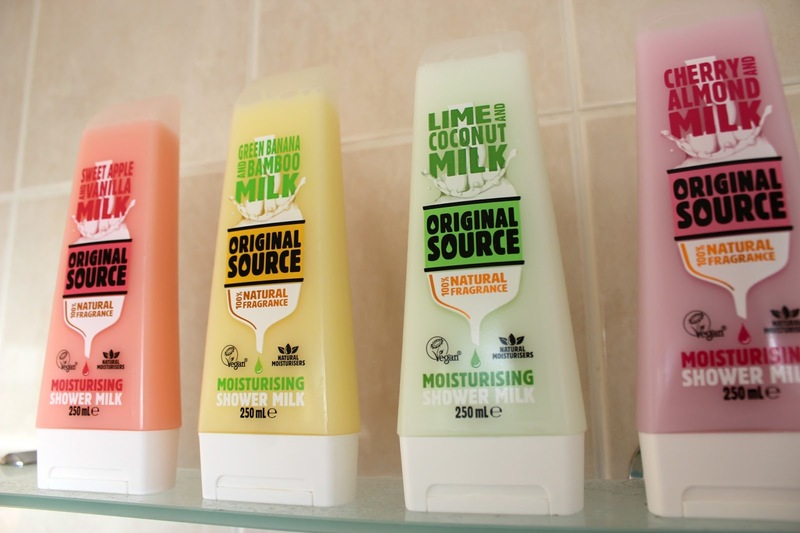 But on the plus side, each shower milk is packed full of real vegan milk extracts, natural moisturisers and 100% natural fragrances. So whatever flavour you pick they’ll help to deliver a moisturising shower to leave you smelling fruity fresh for the rest of the day. These no nonsense, fuss free shower milks are a dream for busy people like me. I’ll even go as far as missing my moisturising regime after a shower if I’ve used these, score another 10 minutes time to scroll through my phone before work! 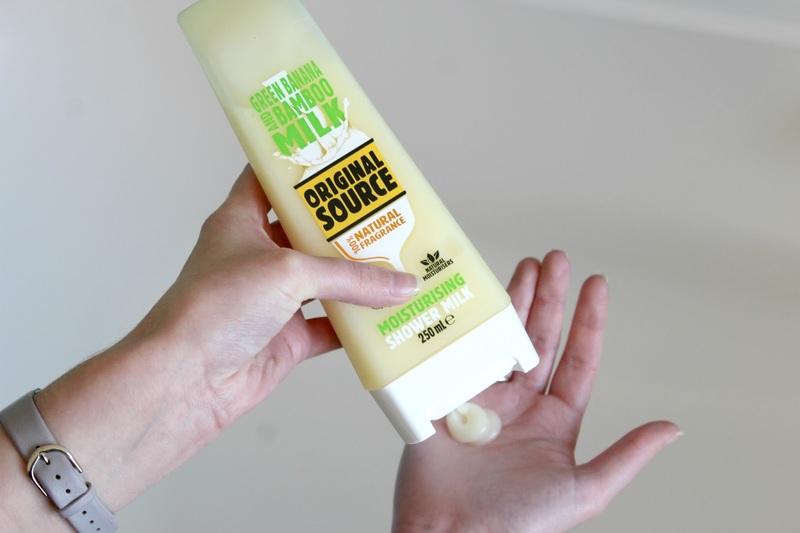 You’ve probably tried Original Source at some point in your life so you’ll already know how amazing and affordable they are. These shower milks are only around the £1.80 – £2 mark and usually on special offer, so adding one of these to your next weekly shop isn’t going to break the bank! Have you tried any of these before? Which fragrance is your favourite?